Fiona is a class of 2018 Burnsville High School graduate and a freshman software engineering major at Michigan Technological University. She is passionate about addressing environmental issues and creating sustainability solutions, so she is also pursuing a minor in environmental studies to pair with her software engineering education, with the goal to make a positive impact on the environment. A significantly influential part of Fiona’s journey involves the Minnesota Aspirations in Computing Awards program. MNAiC honorees gain access to job shadowing and summer internship opportunities, which Fiona took full advantage. 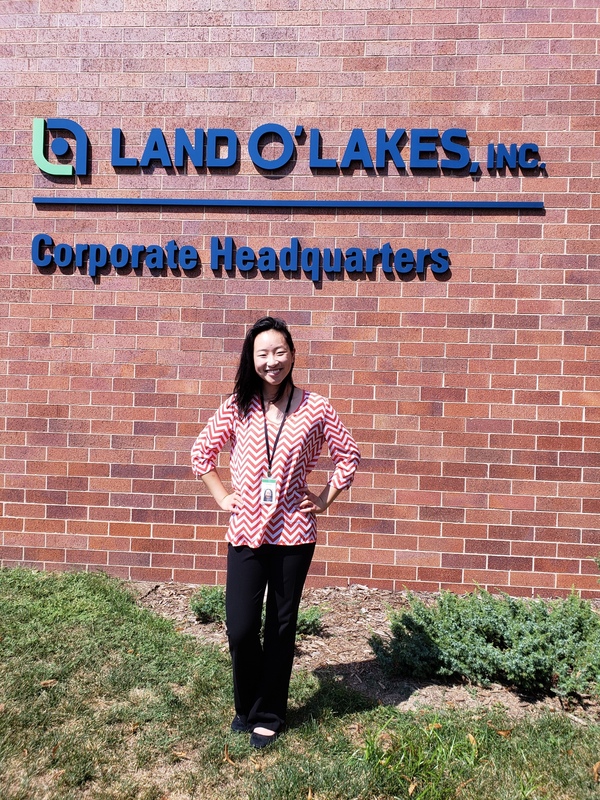 During the summer of 2018, she was an intern at Land O’Lakes, Inc. where she actively participated on the Dairy Agile Team by coordinating the communication and organization of the data transfer process between the offshore and onshore teams as they worked on developing two new websites. 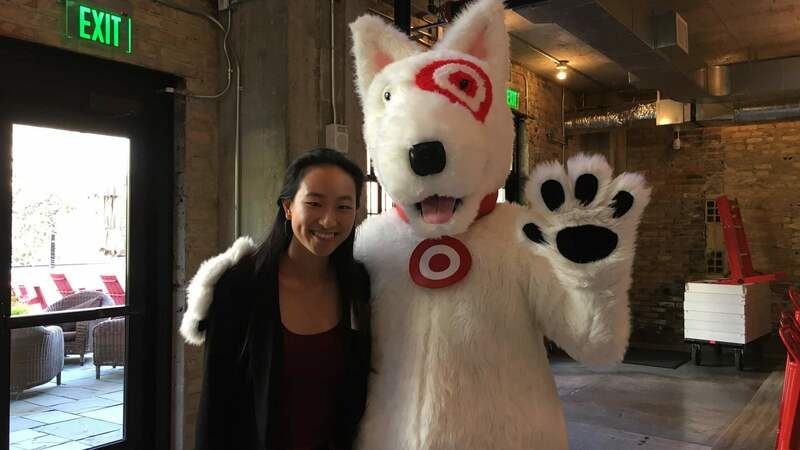 “This internship opportunity allowed me to improve my teamwork skills, communication skills, and allowed me to experience first-hand what it was like to work in industry,” Fiona says, “My favorite part of this opportunity was the people I got to interact with. I feel very lucky to have been put on a team that welcomed me with very open arms and was very willing to teach me and connect with me.” She also initiated informational interviews with individuals outside of her team to learn more about different roles within the company. In 2017, through the Aspirations program, Fiona job shadowed at multiple Twin Cities companies, which opened her eyes to the many career possibilities in the tech industry. Fiona lives by the quote “Be fearless in the pursuit of what sets your soul on fire.” Her passion for computer science is rooted in her childhood as the daughter of a software developer. At age nine, she enrolled in a STEM-focused school and six years later participated in a Dakota County Library System programming camp, which inspired her to enroll in her high school’s Mobile Computer Science Principles course. Fiona and her class partner developed an app called Birdsong, which won the Congressional App Challenge in 2015. She also competed at regional, state and international science fairs, earning the Naval Science Award at the Minnesota State Science Fair competition and an Honorable Mention at the International Sustainable World Energy, Engineering, and Environment Project Olympiad competition (Houston, TX) for her sophomore year science fair project. In 2017, she was recognized as a Target Corporation Women in Science and Technology (TWIST) EPIC Award winner. As she nears completion of her first year of college, she is still very passionate about computer science and is excited to continue exploring the opportunities in the field. In high school, Fiona went above and beyond both inside and outside of the classroom and learned invaluable lessons along the way. As part of a Minnesota State led Project Lead The Way (PLTW) course called Engineering Design and Development, she and her team were paired with William Byrne STEM Elementary with a task to design and develop an effective mount for the Augmented Reality Sandbox. She learned how to install and navigate the augmented reality sandbox software, developed a way to safely mount the equipment while maintaining a durable and mobile design for multi-classroom use, and once it was completed, presented the fully functioning sandbox at several school STEM events and to previous Lieutenant Governor (now US Senator) Tina Smith. “Being a part of that class really taught me how to work as a team, utilizing each member’s strengths and figuring out how to communicate among ourselves and also with our client, the elementary school,” Fiona says about her PLTW experience. She also co-founded the Women in STEM club at her high school, with the goal to provide female students ways to explore their STEM interests together through projects, field trips and informational sessions with female STEM professionals. In case you missed it, we kicked off the New Year with an exclusive look into the experiences of Wayzata High School senior Caroline Zeng, 2018 Minnesota State Winner and National Honorable Mention. Check it out! The Minnesota Aspirations in Computing (MNAiC) Awards Program partners with the National Center for Women and Information Technology (NCWIT) to inspire, empower, and honor young women of high school age for their computing-related achievements and interests. The program is supported by Minnesota State – IT Center of Excellence and numerous businesses and organizations. The powerful story of honoree accomplishments does not end at a recognition ceremony in April of each year, it’s just beginning! Over 300 young women who have been honored since the Minnesota Aspirations in Computing Program inception in 2012-2013 continue to pursue life-changing education and career opportunities, becoming accomplished practitioners and leaders in a variety of Science Technology, Engineering, and Math (STEM) fields.